Ryan has been CrossFitting since 2007 and coaching since 2008. His experience and passion for Crossfit show in his top-notch coaching and programming. Ryan has CrossFit certifications starting with his level 1, level 2, CrossFit Kids, CrossFit Gymnastics, CrossFit Olympic Lifting, as well as a Pendlay Olympic Lifting and CrossFit Advanced Weightlifting Certification. Ryan has been serving in the US Army since 2004, the Army Special Forces since 2007 and has done multiple deployments. 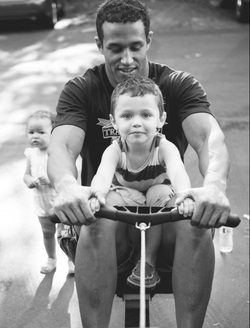 When Ryan isn’t working or at the gym, he is spending time with his wife and two young children.